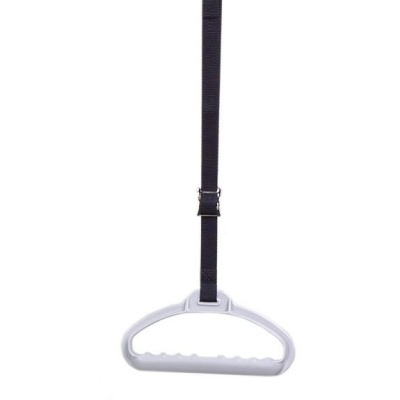 The Sidhil Lifting Pole, Strap and Handle provides a fantastic way for individuals to get themselves out of bed easily, helping them maintain their independence in a secure and reliable way. However, over time the included strap and handle can become worn or damaged, making the lifting pole unsafe and insecure. The Strap and Handle for the Sidhil Lifting Pole is a replacement strap and handle for the Sidhil Lifting Pole, enabling you to get your lifting pole fully operational once again. Made from durable nylon, the strap ensures that users can get a stable hold and support when lifting themselves out of bed, helping them to retain their independence in a safe way. Additionally, the included handle has been ergonomically designed to provide patients with a comfortable grip, making it even easier for them to lift themselves out of bed. Please be advised that the Strap and Handle for the Sidhil Lifting Pole is usually delivered between 1 - 2 weeks of your order being placed. We would advise you to consider this delivery estimation before placing your order and apologise for any inconvenience that this may cause. For more information, please contact our Customer Care Team at 020 7501 0592.